Another great post! 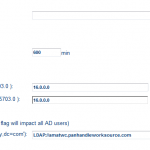 I actually just used this to join my Director to AD, the one thing I noticed that actually scared me for a second was that (dependent on what your default AD GPO) as soon as you add your ShoreWare server to AD it will likely re-enable Windows Firewall which ends up affecting Callmanager Access. Also, another thing I noticed (that makes total sense) is that you have to be logged in as an AD user in ShoreWare director in order to use the “Show From AD/Sync From AD” features when adding a user, otherwise the buttons are grayed-out. Keep up the good work, I’ve been lovin’ this blog. Yeah that is definitely something I overlooked in the Configuring Windows section. I’ll note to update that in the guide, it’s very important for a new install actually. Thanks for the catch. I didn’t have that problem as I was already set up as an Administrator when I put my domain login information in my Shoretel account. So when I did that it updated my login information. I was actually surprised when it logged into the Director automatically from my PC. This is a great post. I appreciate this. What I am now trying to find and was hoping someone might know the answer to where the field information which are being pulled over from AD to Shoretel. I am particularly interested in looking for the email field. Our email addresses are being pulled over incorrectly because our AD UID’s are not the same as our Email addresses or login ID’s here. Where might I find the setting to change the field being pulled over from AD for email? If I’m not mistaken the e-mail address is basically the userPrincipalName/email field in AD so the “User logon name” from AD is what it’s pulling. If you have an Exchange server this is likely not an issue as they’ll still get the notifications but, I take it you don’t use Exchange? Justin, Im having the same email issue and the link you posted does not word. Do you remember what you did to fix it? Amazing post. So helpful. Great job, I’ll def be coming back to this site again. 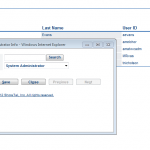 Ok I’m a newbie and I Setup active Directory Integration without enabling my domain user as an active directory user within shortel. Is there a way I can get back into Shortel Director to enable that checkbox? 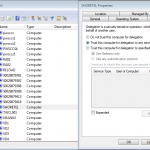 You can log back into the ShoreTel server with your regular Shoretel Admin account that you used before AD integration by remoting into your ShoreTel server and just entering it. Hopefully you didn’t delete it. When you do this, go ahead and make a backup admin account just in case, this is something that happens pretty often. 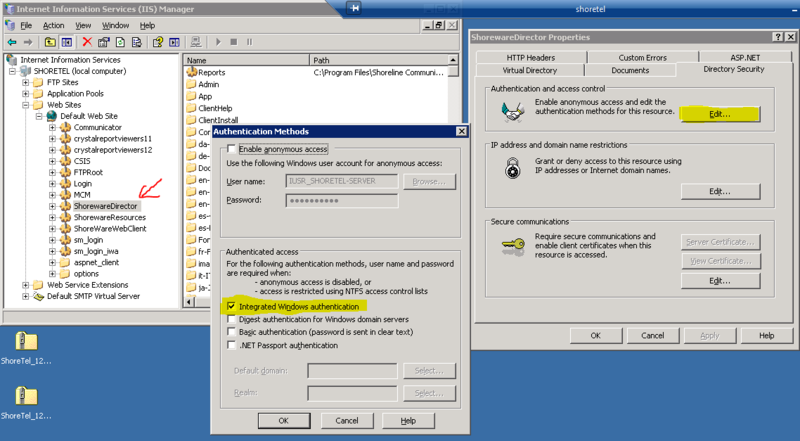 Also if your ShoreTel server gets kicked from the domain you might not be able to get into it without a “local admin account”. We’ve been running Shoretel for years, with the client on the desktops.. and don’t know why this never got setup! Anyway, its a pain to have to manage the users in multiple places. What happens to existing users if you enable AD integration after they’ve already been using the system for years? Does it link their manually created shoretel accounts to their AD equivalents? 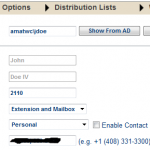 Does it negate whatever password they had setup in shoretel when they first logged into the client and overwrite it with their AD one? Another caveat I just thought of.. 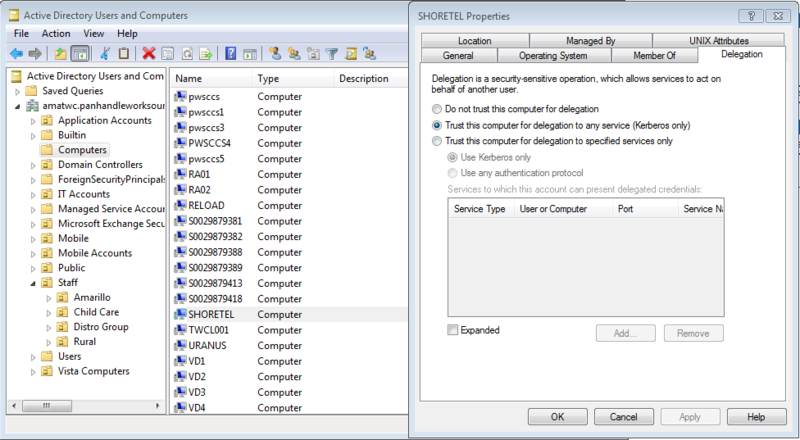 I know the Shoretel requires them to use a 6 character password.. if the AD password is shorter, does it complain?